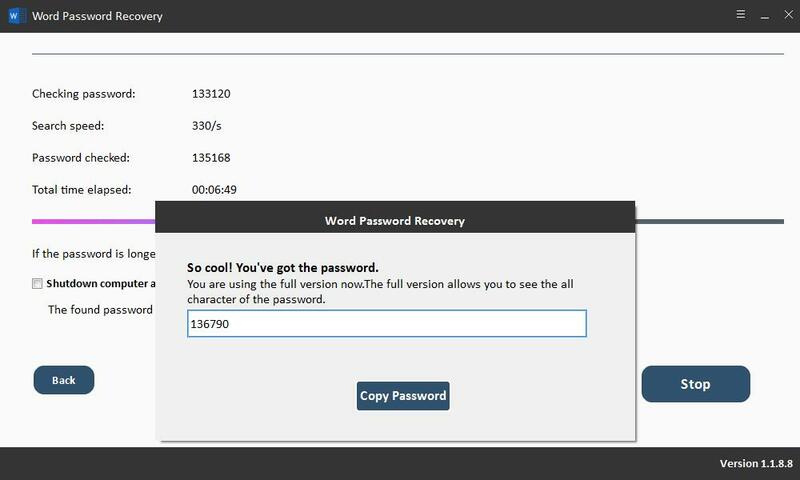 Free Word Password Recovery is an advanced MS Word Document Password Recovery tool. It can decrypt, crack and recover password-protected Microsoft Word Documents (*.doc,*. docx). 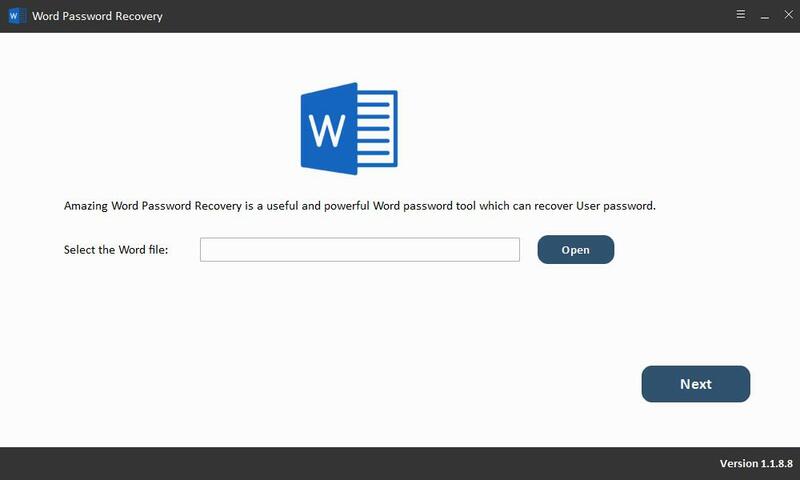 It fully supports Password Recovery from Microsoft Word document 97, 2000, XP, 2003, 2007, 2010, 2013, 2016, 2017 and 2019. Free Word Password Recovery guarantees users 100% success rate in retrieving Microsoft Word Document (*.doc,*. docx) password. 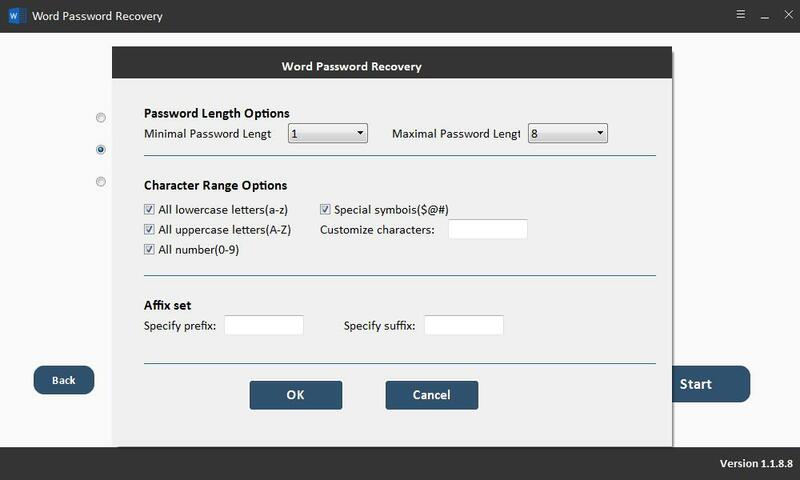 Free Word Password Recovery enables you to get back forgotten MS Word Password through 3 efficient MS Word password recovery attacks: Brute-force Attack, Brute-force with Mask Attack and Dictionary Attack. If you have no idea about the password, you can try the first password recovery attack mode but it will takes more time to try all possible combinations. The second password recovery attack option can shorten the MS Word password recovery time greatly. You can set the possible password length, character range, specify prefix and suffix. 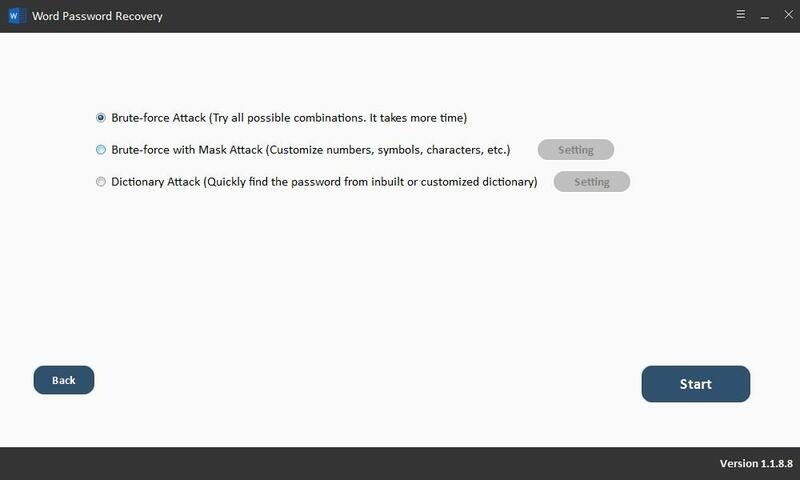 Dictionary Attack allows you to recover forgotten Word password by trying password combinations in the built-in or self-created dictionary. It will automatically save and resume the process when you run Free Word Password Recovery software next time. It also provides the option to shut down your computer automatically when the MS Word Password recovery is finished. Free download Free Word Password Recovery software and have a try. It is safe, clean, reliable and efficient Word Password Recovery software. Pandora - It can unlock encrypted MS Word document easily. Ruth - I have password-protected a Word Doc 2007, a while ago and I forgot my password. This app retrieved the password successfully.